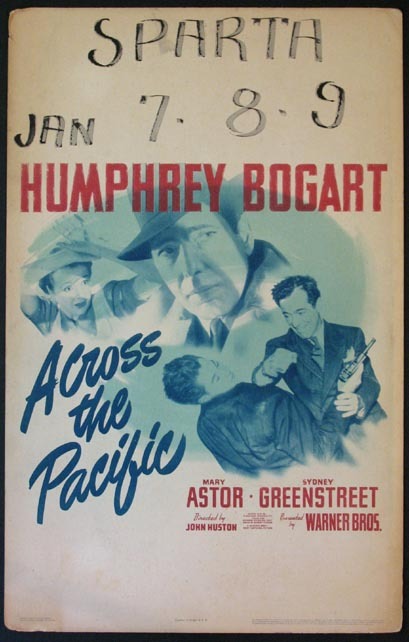 Humphrey Bogart, Mary Astor, Sydney Greenstreet. Directed by: Huston, John. 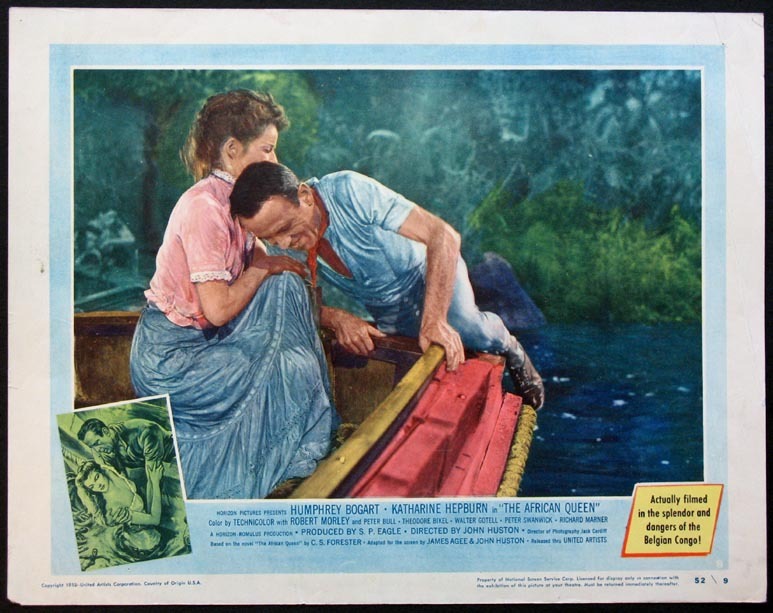 Window Card , 14x22 VG-FINE, U.S.
Humphrey Bogart, Katharine Hepburn. Directed by: Huston, John. 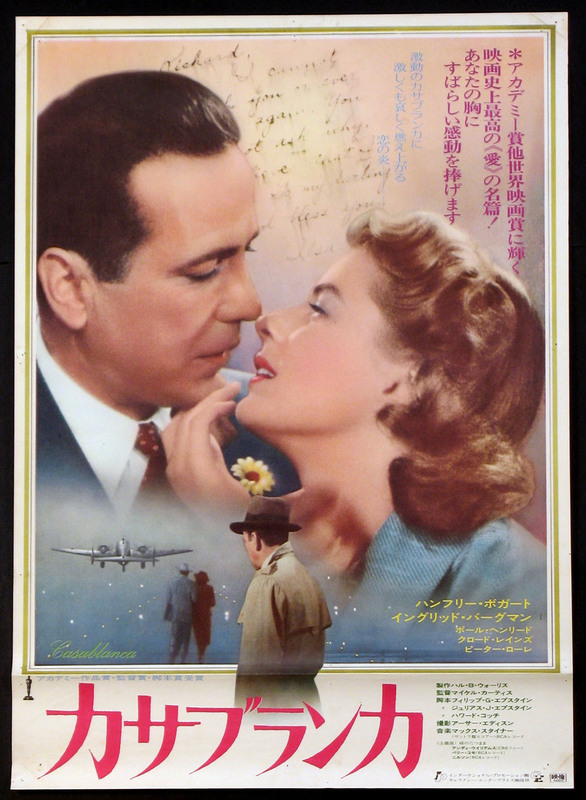 Lobby Card (11x14) , (SC#8) VG-FINE, U.S.
Humphrey Bogart, Irene Manning. Directed by: Seiler, Lewis. 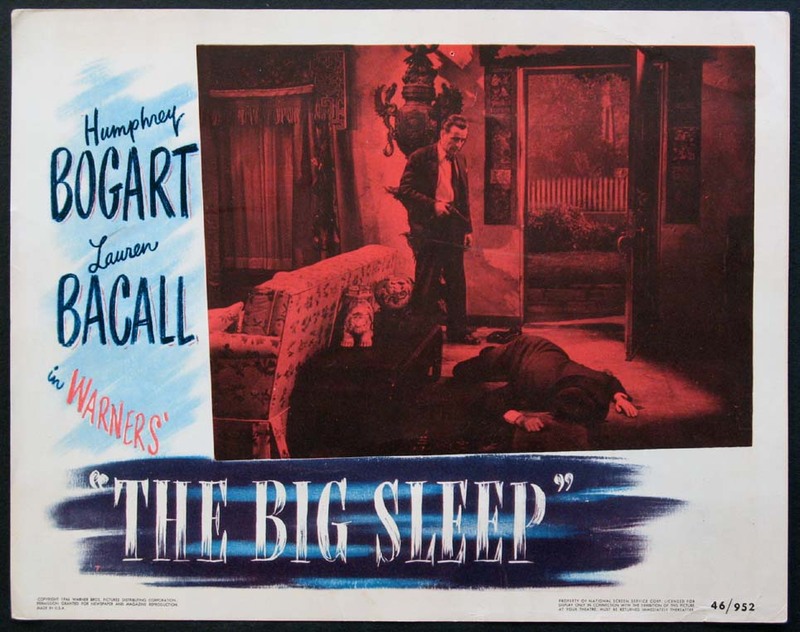 Humphrey Bogart, Richard Travis. Directed by: Seiler, Lewis. 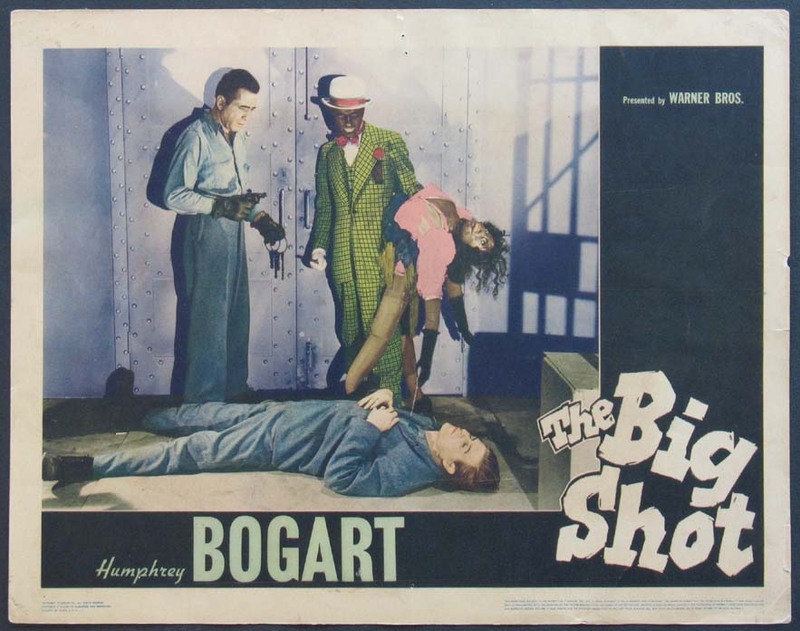 Lobby Card (11x14) , (SC) VG-FINE, U.S.
Humphrey Bogart as three-time loser gangster Duke Berne. Directed by: Seiler, Lewis. 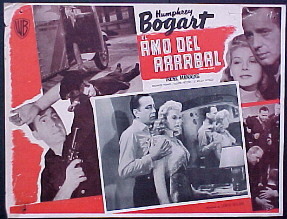 Lobby Card (11x14) , (SC) FINE-NM, U.S.
Humphrey Bogart, Lauren Bacall. Directed by: Hawks, Howard. 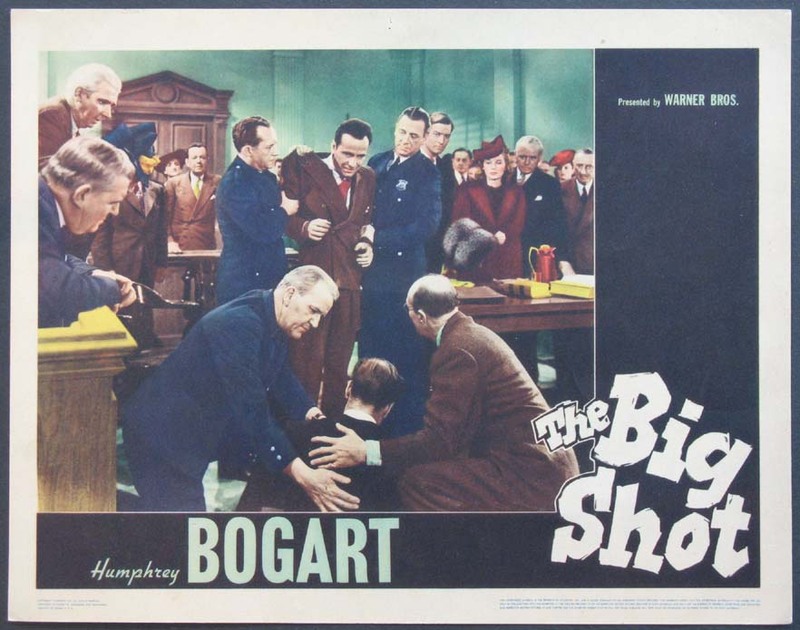 Lobby Card (11x14) , (SC#4) FINE, U.S.
Humphrey Bogart as Philip Marlowe. Directed by: Hawks, Howard. 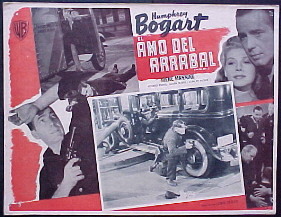 Lobby Card (11x14) , (SC#7) VG-FINE, U.S.
Humphrey Bogart, Lauren Bacall, Martha Vickers in Raymond Chandler Film Noir. Directed by: Hawks, Howard. 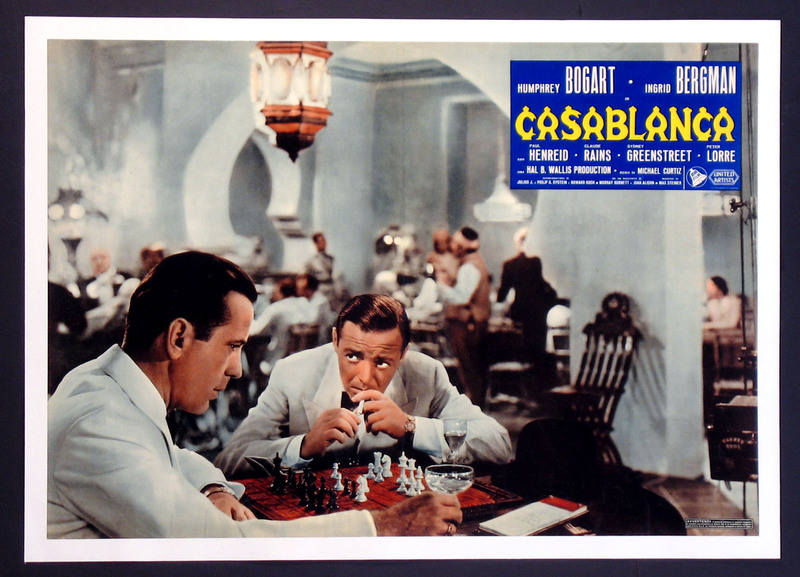 Lobby Card (11x14) , (SC#6) VG-FINE, U.S. 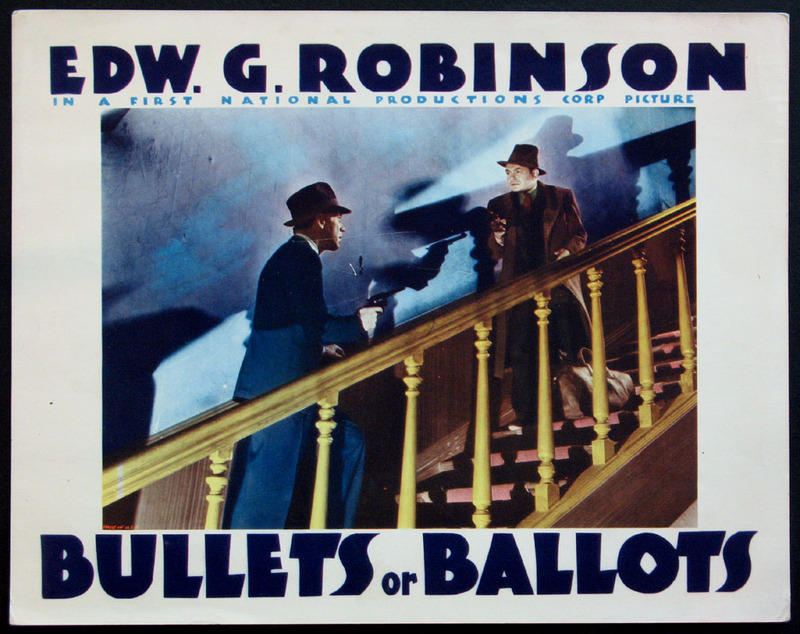 Gangster thriller with Edward G. Robinson, Humphrey Bogart. Directed by: Keighley, William. 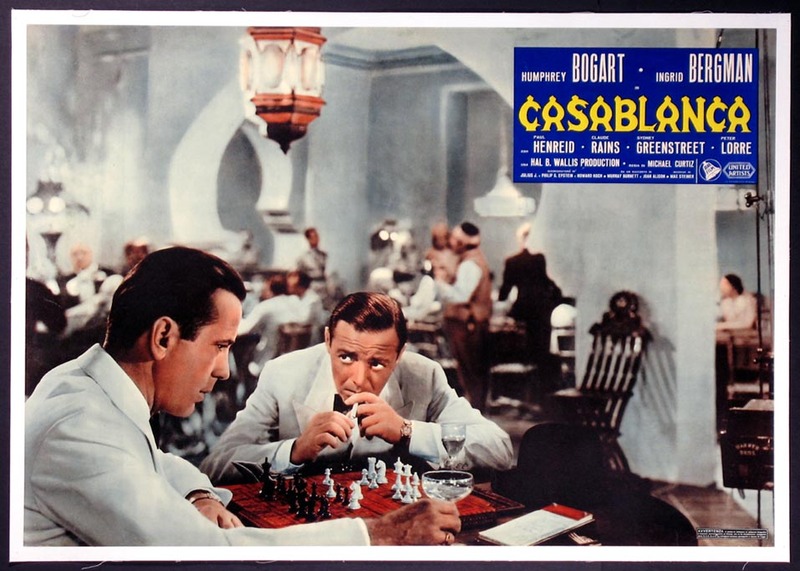 Lobby Card (11x14) , (SC) VG, U.S.
Humphrey Bogart, Peter Lorre. 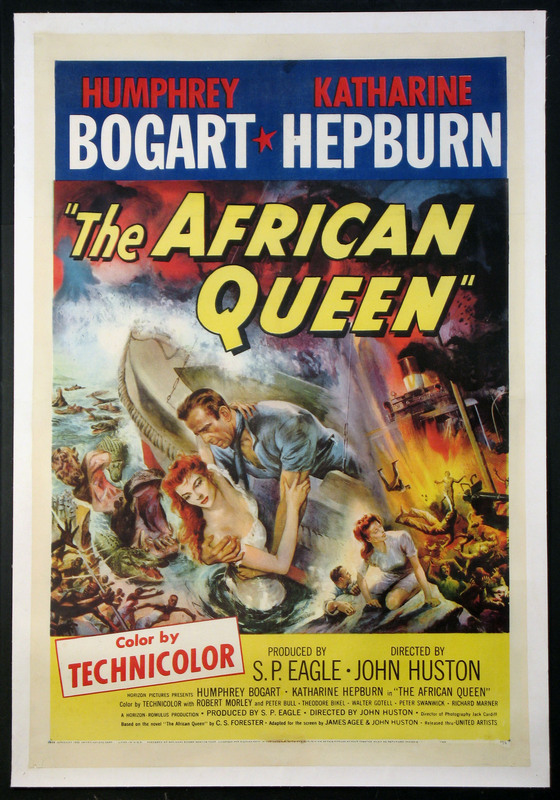 Directed by: Curtiz, Michael. 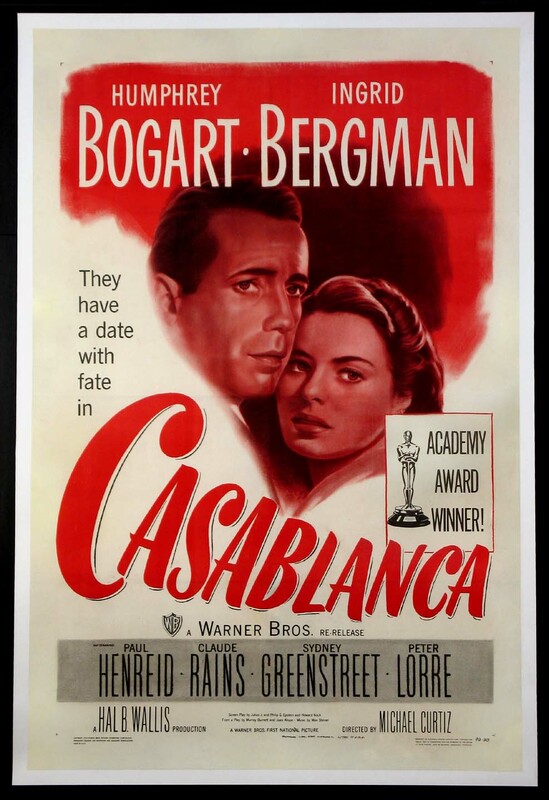 Humphrey Bogart, Ingrid Bergman. 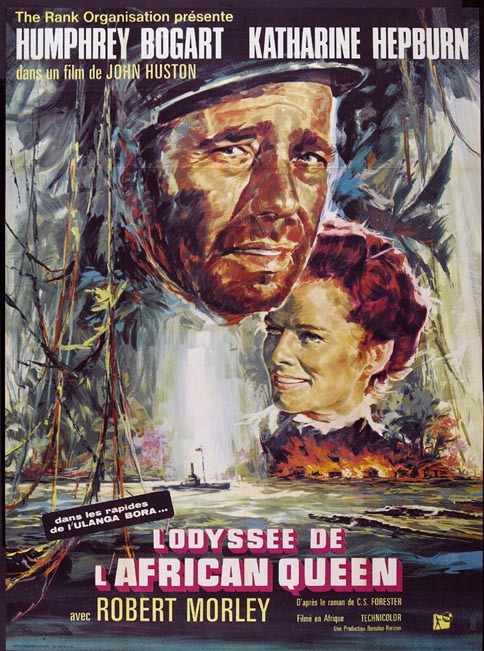 Directed by: Curtiz, Michael. 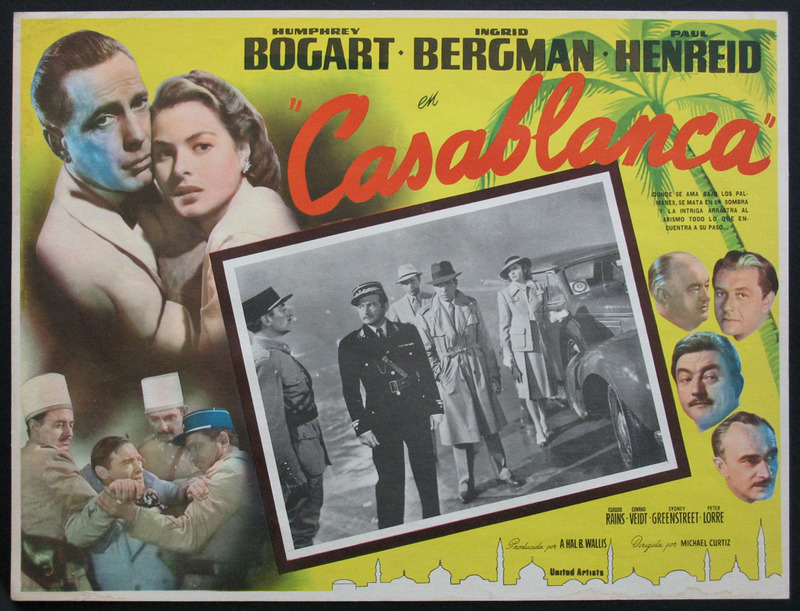 Humphrey Bogart, Ingrid Bergman, Paul Henreid, Claude Rains, Peter Lorre. 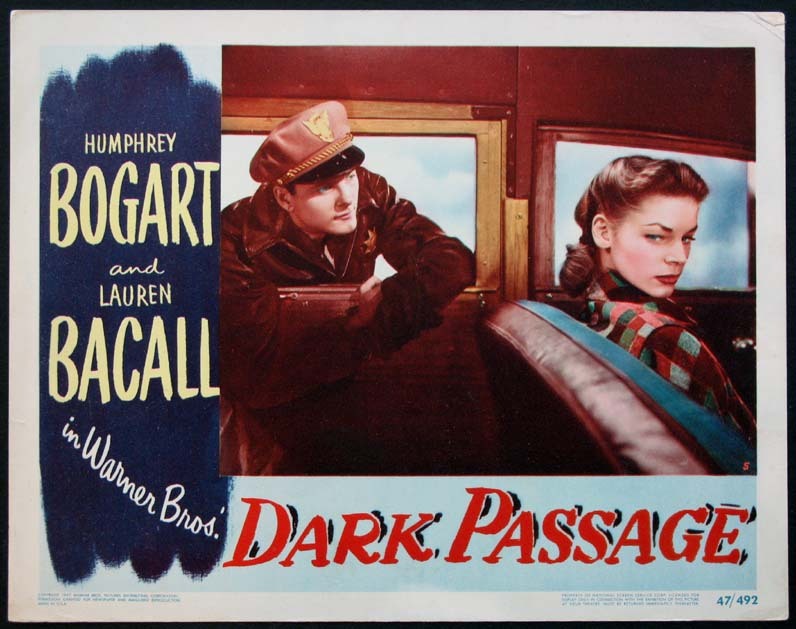 Rare Domestic release one-sheet from the film's first re-release. 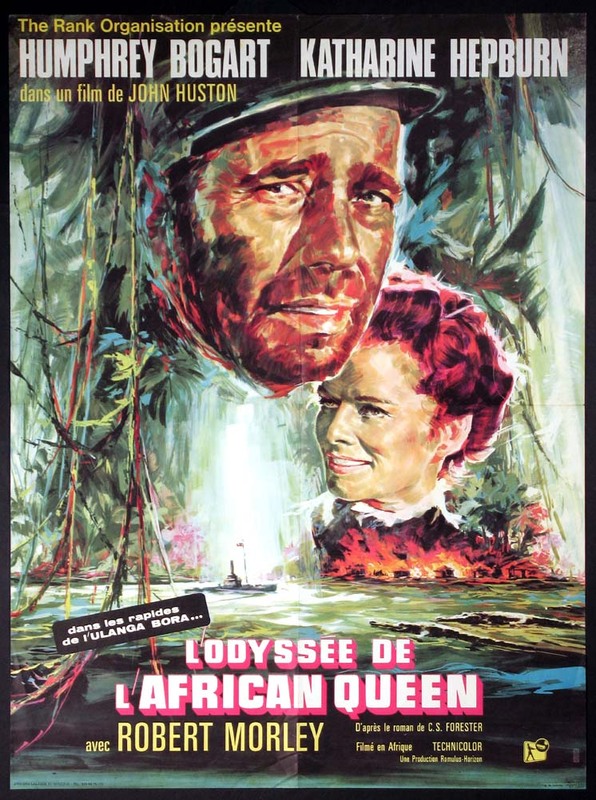 Directed by: Curtiz, Michael. 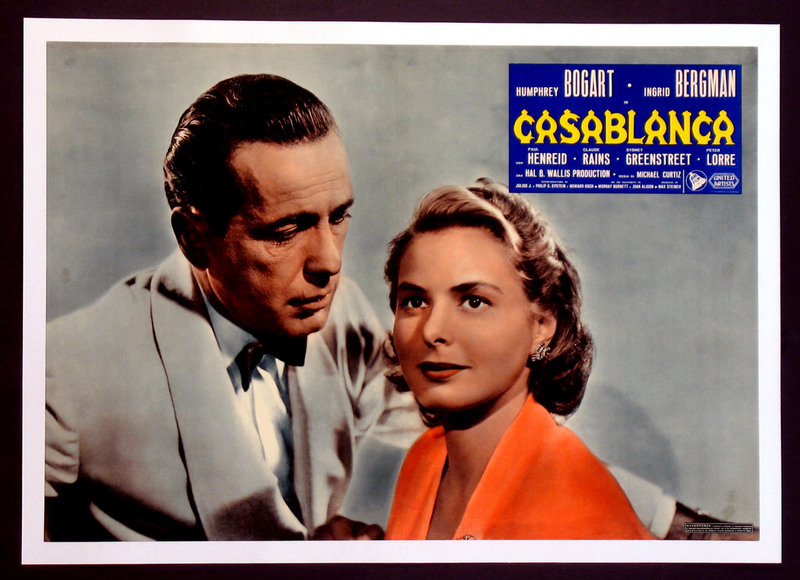 Humphrey Bogart, Ingrid Bergman, Claude Rains. 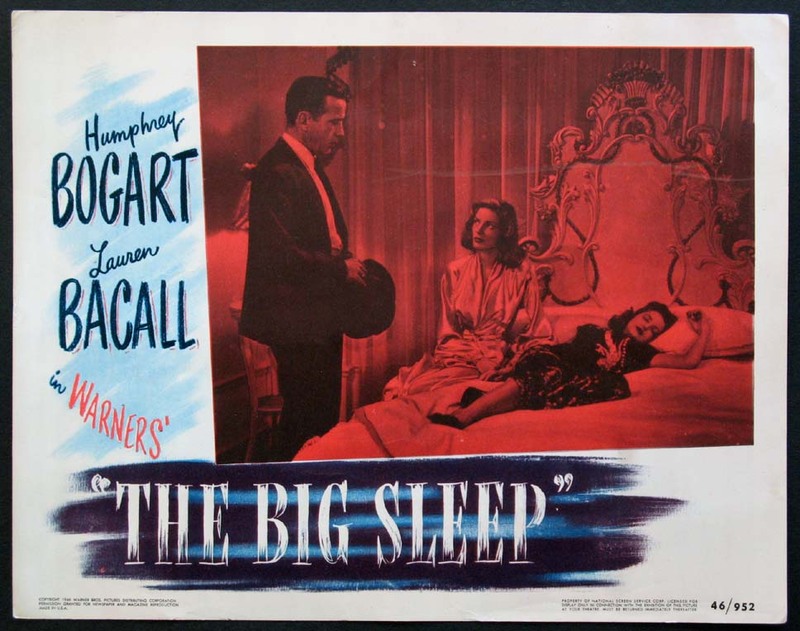 Directed by: Curtiz, Michael. 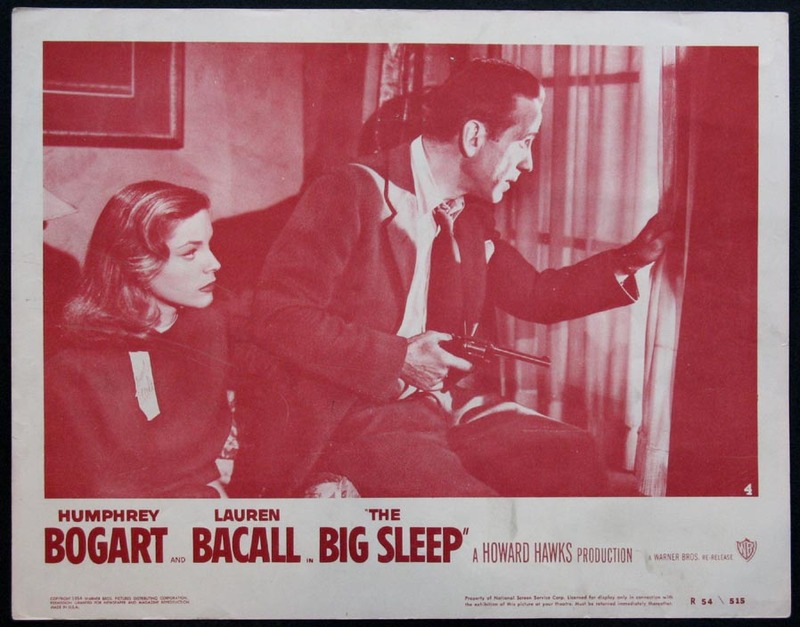 Lauren Bacall, Humphrey Bogart (hiding in back seat), Richard Walsh. Directed by: Daves, Delmer. Lobby Card (11x14) , (SC#5) FINE, U.S.